A range of complex issues affecting home, contents and strata insurance markets in northern Australia mean residents and property owners pay much higher premiums than is the case elsewhere in Australia, according to a new report by the ACCC. The Northern Australia Insurance Inquiry first interim report, released today, makes 15 recommendations the ACCC says should be immediately adopted to improve northern Australian insurance markets, including abolishing stamp duty on insurance products, banning commissions for insurance brokers, making products more comparable and applying unfair contract terms protections to insurance products. The report found not only are insurance premiums considerably higher in northern Australia, they have risen at a faster rate: shooting up 130 per cent in real terms between 2008 and 2018, compared to an average 50 per cent rise in the rest of the country. 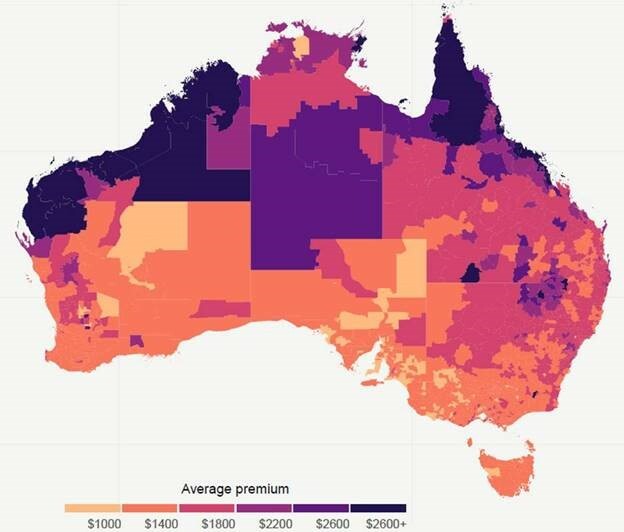 Extreme weather in northern Australia, and the cost of servicing this area, are partly to blame for the high premiums that many consumers are facing. But other factors have contributed, including moves by insurers to assess risk and set premiums at an individual address level, rather than pool risks across regions. The ACCC’s analysis revealed an unusual competitive dynamic. The inquiry found insurers are not actively trying to win market share in some high risk areas, but are instead seeking to deter customers and limit their exposure by raising premiums, leading to soft competition. Markets at the regional level are also highly concentrated. The ACCC has made a further 13 draft recommendations it is seeking feedback on, including the establishment of a national insurance comparison website, restricting commission payments by insurers and intermediaries to strata managers, and the need for insurers to clearly state what discounts customers can get if they modify their home to mitigate their risks. In preparing the report, the ACCC used its information-gathering powers to obtain documents and data from insurers about their operations in northern Australia. This enabled the ACCC to analyse about six million data points providing aggregated information on insurers’ policies, premiums and claims over the past 11 years. 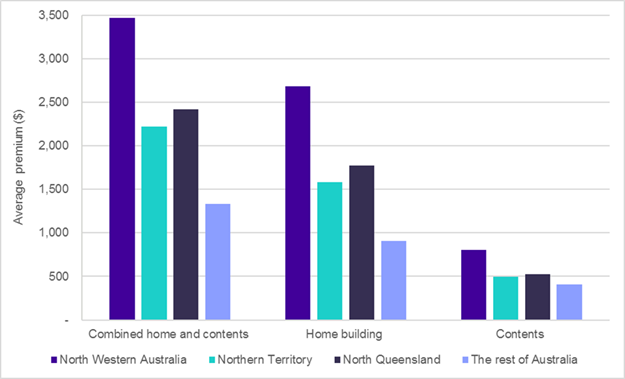 “This is the most comprehensive analysis ever undertaken of the home, contents and strata insurance markets in northern Australia,” ACCC Deputy Chair Delia Rickard said. The ACCC also conducted eight public forums across northern Australia and received 280 submissions in response to an issues paper released in October 2017. “Although this is a three-year inquiry, we are recommending some immediate changes because we know that communities across northern Australia need and want to see results,” Ms Rickard said. “However, it will still leave underlying affordability issues for some individuals that are so sharp that a stronger public policy response may be needed. Reviewing possible further policy options to improve insurance affordability will be the primary focus of the next stage of our inquiry,” Ms Rickard said. The inquiry found as premiums have risen, so have the amounts customers pay in stamp duty, GST and commissions. The interim report found that stamp duty paid on home, contents and strata insurance in northern Australia rose from $22 million in 2007-08 to $79 million in 2017-19, and GST revenue rose from $25 million to $78 million over the same period. The ACCC recommends stamp duties be removed from home, contents and strata insurance. If agreement to do this cannot be reached, then it recommends state and territory governments base stamp duty on the sum insured, rather than the premium, and that some of the revenue collected is allocated to improving insurance affordability and funding mitigation work. Conflicts of interest in the market were common and significant, the interim report found. Most insurance brokers received payments from insurers, and commission rates of 15 per cent to 20 per cent of base premiums paid were common. The ACCC did not find evidence that insurers were making high or excessive profits in northern Australia, or that they were using profits in northern Australia to subsidise premiums in other parts of the country. Rather, high claims and costs have resulted in the majority of insurers operating at a loss in northern Australia during the past decade, while those that were profitable had lower returns than in the rest of the country. “Consumers reported that products were complex and hard to compare, and that they didn’t understand how insurers were setting premiums and why they were rising,” Ms Rickard said. “In 2019 we will explore what further measures could be considered to improve the affordability and availability of insurance in this important region of Australia, including efforts to address similar concerns overseas,” Deputy Chair Delia Rickard said. Submissions in response to the draft recommendations are due by 12 April 2019 and can be emailed to insurance@accc.gov.au. Further information is available at: Northern Australia Insurance Inquiry. In July 2017, the ACCC commenced an inquiry into the supply of residential (home), contents and strata insurance in northern Australia, following direction from the Australian Government. The ACCC released an update report in June 2018. A second interim report is due to the Treasurer by 30 November 2019 and a final report by 30 November 2020. Source: ACCC analysis of data obtained from insurers. Note: Trends for the Northern Territory do not include data for the TIO prior to 2015-16.